This book examines China’s involvement in international governance, international regimes, and globalization. 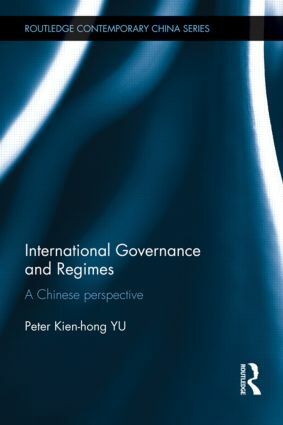 Peter Kien-hong Yu offers a new framework with which to understand ‘international regimes’ and applies it to important Chinese case studies such as arms control, disarmament, and non-proliferation; the counter-piracy regime and the environmental issue. Whilst internationally important matters related to such systems are identified, Yu’s discussions attempt to find out whether any particular system works better in relation to China, and asks if not, why not? After examining eight different cases, the author concludes that these regimes are working but there is ample room for improvement and that the Chinese (Communists) for one have to enhance their understanding of international governance and try to export their experience to other parts of the world. International Governance and Regimes will be appeal to anyone interested in International Politics, Chinese Studies, Political theory and International Relations. Peter Kien-hong YU is a Professor at National Quemoy University, Taiwan area, R.O.C.